I frogged June’s blanket so many times. I tried three different stitches. Finally I switched yarn and to c2c. The blanket WILL get done. Eventually. I needed a break from it so I made something for me. In fact I made two somethings for me. 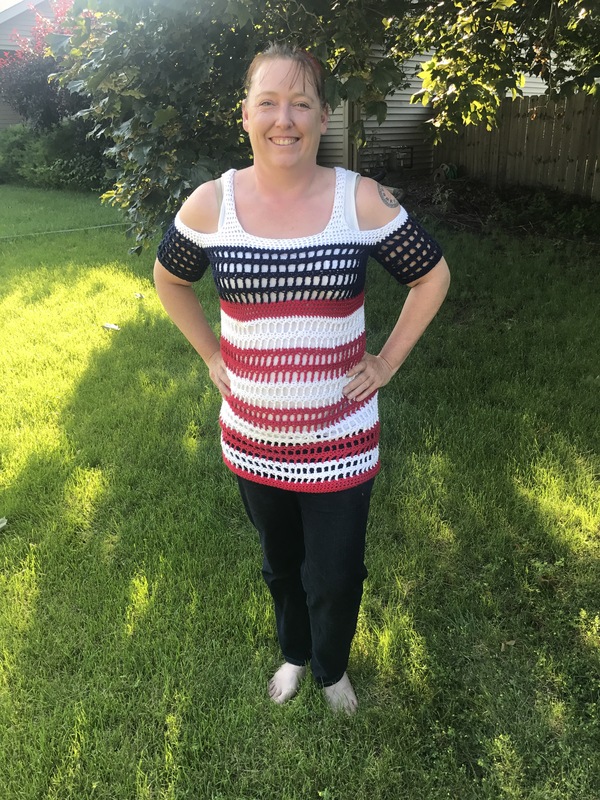 This is the first Cold Shoulder Coverup that I made. I sized it to go over a tank top and jeans instead of as a swimsuit coverup. I changed the pattern slightly for the second one that I made. I added the solid band just under the bust area and made the sleeves shorter. 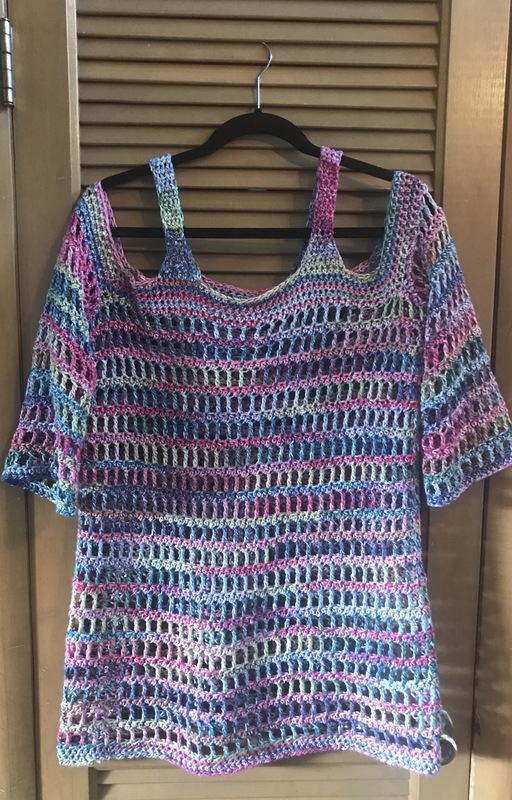 I used cotton yarn and an I hook for both shirts. When I made the shoulder straps on them I had to make them much longer than the pattern designer’s. That’s the great thing about this pattern. It is totally customizable. I hope everyone had a happy and safe 4th of July and enjoyed seeing my patriotic wear!